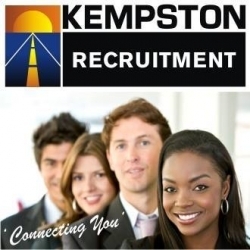 Kempston Recruitment is a Division of The Kempston Group, which was established in 1973. We offer permanent, temporary and contract recruitment solutions across a wide range of functional areas including management, sales, technical, financial and support positions. Please view all available positions below. If you do not find what you are looking for, please submit your profile to Kempston Recruitment. Kempston Recruitment is well positioned to deliver nationally. Our Head Office is based in East London with several satellite branches nationally. Please see below contact details for all branches.